Back in April, Harley-Davidson unveiled its new Riding Academy in the U.S., which is a program to help students take their first lessons in riding and they get to do it on a Harley-Davidson Street 500 motorcycle. You might recall that the Harley-Davidson™ Riding Academy was previously called Rider’s Edge®. In September 2012 the program celebrated a milestone of training 300,000 riders since starting in 2000. At the time the Buell Blast, a motorcycle made by the Buell Motorcycle Company was used in the Rider’s Edge New Rider program. In July 2009, prior to ceasing all motorcycle production, Buell ran an ad campaign stating that the Buell Blast would no longer appear in their line-up and the ad featured a Buell Blast being destroyed in an automobile crusher. The new Harley-Davidson™ Riding Academy is a national rider training program and is likely to be hosted by Harley-Davidson dealerships across the country. It’s designed to get folks comfortable on a bike and give them the skills needed to ride with confidence. The students are trained on the motorcycle that they will be riding and will also be taught the basics of rider safety. All the student needs to bring is the riding gear that consists of a long sleeves, jeans/pants, ankle length footwear, full gloves, eyewear and DOT standard helmet. The academy will provide a motorcycle and certified instructors from Motorcycle Safety Foundation (MSF). The course features a minimum of 20 hours of classroom and range training with two instructors guiding 12 students at a time. The practice range is where students learn maneuvers such as turning, braking, going over obstacles and controlling skids. Some thought the original Rider’s Edge Program was a pricey version of the MSF Basic Rider Course with four additional promotional/marketing hours added into the curriculum. Otherwise the curriculum of the two were nearly identical. 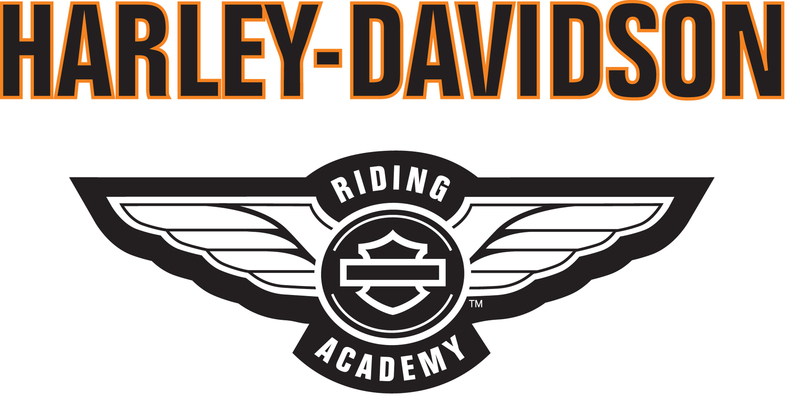 I have not been through the new Riding Academy, but would anticipate that it’s a Harley-Davidson branded version of the new 2014 MSF curriculum. The motorcycle used in the new Harley-Davidson Riding Academy is the newly launched liquid-cooled Harley-Davidson Street 500. I suspect the strategy of incorporating the Street 500 motorcycle is that students will want to keep riding after the class is over once they’ve learned on the motorcycle… maybe even consider a purchase. The Street 500 is fitted with a vehicle protection kit that protects the motorcycle in case a student is not able to maintain balance and topples it. In addition, there is a first of its kind Power Limit Calibration system that is in place to restrict the bikes at low gear speeds allowing only the maximum speed needed for the course. Or put another way, it modifies the fuel injection system and de-powers the bike. If you’re looking for initial impressions of the bike for training check out this post HERE. Once the training has been completed, the students will get an MSF Basic Rider Course completion card which may even exempt students from the state testing for a motorcycle endorsement, but this varies state to state. Harley states that this card may even help new riders in getting a discount on their motorcycle insurance. But, what about the state of Oregon? It looks like the Oregon Harley-Davidson dealers get somewhat of a pass on managing the new Riding Academy logistics since the only approved training is provided by TEAM OREGON. If you’ve been riding awhile you’ll recall that Oregon was the first state to break away from MSF and Idaho soon followed. There is 40-years of history, but in 2003, the last time MSF released a new curriculum, TEAM OREGON decided the new product didn’t meet the riders of Oregon needs. However, MSF would not support continued use of the old product so, TEAM OREGON designed their own curriculum to meet the needs of Oregon riders. The prevailing viewpoint was the California-based MSF “one-size-fits-all curriculum” didn’t address local issues – for example, Florida’s riding environment is much different from Washington State’s, which is unlike Wisconsin’s or New York’s. 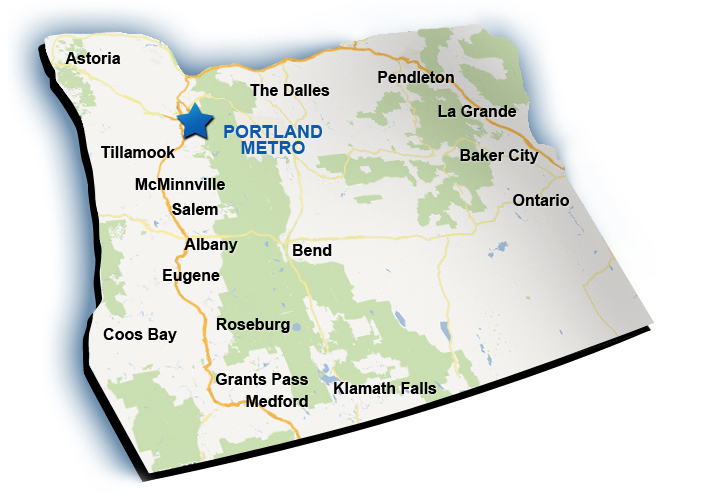 MSF sued TEAM OREGON in 2006 over the curriculum they developed which the Oregon Department of Justice and Oregon State University tenaciously defended and in December 2008 the MSF agreed to abandon its lawsuit without any monetary settlement. More details on the lawsuit are located HERE. Independent of where you live in the Northwest, this blog has promoted safe motorcycle operation and suggested many times that riders be life-long learners. Take a training class. Photos courtesy H-D and TEAM OREGON. Shout-out to Pat Hahn (TEAM OREGON Communications and Outreach Manager) who was consulted for accuracy in the writing of this article.